A Cutter’s Creek Catch up! The Cutter’s Creek Series has been so much fun to write and from what I see from reviews, a fun series to read! We now have seven in the series out and another will be coming out September 9th! You can read them as a series as they come out, but each author is doing things a little differently. First, here are the two I haven’t introduced yet. I’m behind! Jemma Braithewaite is dealing with tragedy, injury, and a desire for a different life. She’s forced to make a heartbreaking journey to The Idaho Territory to bring her orphaned niece and nephew home. Just when she needs a friend the most, God puts Janine Hewitt in her life. The two women bond on their train ride from Chicago to Cutter’s Creek, Montana. An unexpected invitation to stop and visit the Hewitt family in Cutter’s Creek gives Jemma some time to ease herself and the children into life in Chicago. The time in Cutter’s Creek also opens her eyes to the possibility of leaving the big city for a small, friendly town and new friends. A job offer and a handsome man named Nick Jansen lure Jemma to Montana permanently. The children are happy and so is Jemma until things heat up with Nick. Just when Jemma thinks she’s found everything she’s waited for, she realizes that family must come first. Just as she’s finding the right balance, a misunderstanding throws her into another terrible situation. Had it been a mistake to try to reinvent her life in Cutter’s Creek? You can get your copy here! Lady Charlotte Beaufort of Beaufort Manor, England, is accustomed to the finer things in life. She’s used to everything going her way. But it’s all about to change. When her parents force her into an engagement with the Duke of Notherington, a man she barely knows, she runs away – traveling aboard a steamer to the New World. Harry Brown, a silversmith’s apprentice from Greyburn, doesn’t stand a chance with the beautiful Charlotte. Then he runs afoul of the local thug, and he and his sister have to leave town. When Charlotte and Harry cross paths, the attraction is undeniable – but can they overcome generations of social barriers to admit their true feelings for one another? 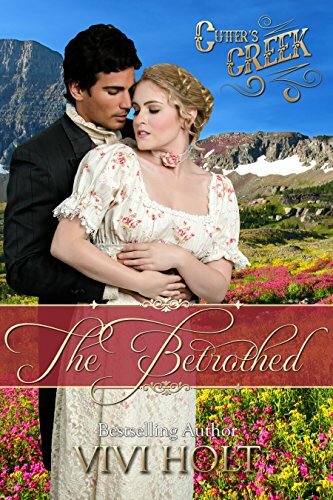 Take a journey from the beautiful Lakes District of England to untamed Cutter’s Creek, Montana Territory, where the rules of love are bound to be broken. You can get your copy here! You can enjoy the Cutter’s Creek books in many ways! That Healing Touch is a series starter and the sequel is due out September 9th, by Kit Morgan! The Strong One is a series and the second is The Betrothed. New Beginnings is a Mail order bride stand-alone. A Lily Blooms is a series followed by A Penny Shines. Becoming a Family is also a stand-alone sweet romance.